Age-old buildings, streets, residences and other spaces at the University of Cape Town, named after those "whom history has shown to be dishonourable", could be renamed after the institution called for submissions. The move is a "very necessary process" and one which is long overdue, the university's student representative council president said on Wednesday. In a communiqué, UCT vice chancellor Professor Mamokgethi Phakeng called for submissions, saying the institution aspired to create an inclusive environment where the university community could "see themselves – their cultures, values, heritage and knowledge systems – reflected through the various aspects of everyday life on our campus". "One of the ways of doing this is to consider how the names of buildings and spaces at UCT are reflective of the diversity of the campus community. 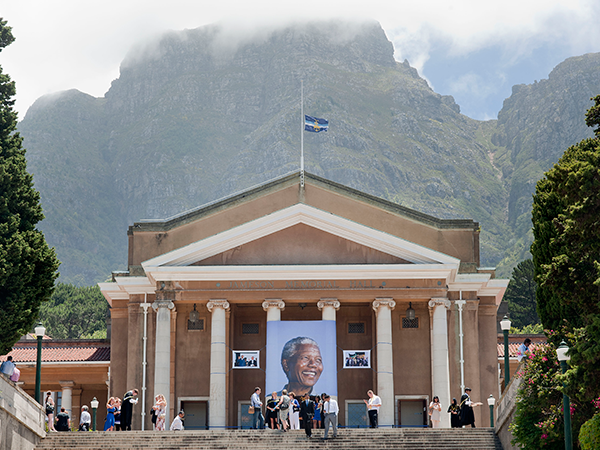 UCT recognises that names have meaning and that, as it happens at other institutions around the world, choices are made at certain times in history to honour specific people. "However, it is also the role of a university to question the extent to which the institution continues to embrace and uphold names, symbols and imagery that uncritically honour those whom history has shown to be dishonourable." She cited the renaming of Jameson Hall to Sarah Baartman Hall as an example, saying the university had acknowledged the "dishonourable history of Leander Starr Jameson" while also recognising the "multifaceted struggles and resilience of South African women". "Another example at UCT is the MR Drennan Anatomy Museum, which currently honours someone who was complicit in obtaining unethically procured human remains. Names such as these will need to change." The aim was to reinforce inclusivity through an "appropriate display" of artworks, symbols, choice of names of buildings, and use of indigenous South African languages, Phakeng said. UCT SRC president Asanda Lobelo told News24 that a big part of addressing the structural remnants of coloniality was relooking at symbols which celebrate either people or events which played a role in dehumanising a particular group. "While some may consider it pedantic, it remains a representation. We are descendants of those people who were dehumanised," she pointed out. "As a university, the role of such an academic institution is not to churn out research. It is to create intellectuals. The fact that students had to tell you [in 2015] that a statue of Cecil John Rhodes is problematic shows that [this process] is long overdue." It is important that there is transformation in not only theory, but also in practice, Lobelo maintained. The university has called for proposals to be submitted to its Naming of Buildings Committee which has been given the mandate to consider applications, substantiated by a motivation explaining why the current name should be removed and the rationale for the suggested replacement. The committee will consider the proposal as well as legal implications, such as whether the National Heritage Resources Act applies or if there are existing donor restrictions. Submissions could include names of people, a description of the dominant use of the building, or words that describe a concept. Names of living people will not be accepted, with the exception of UCT Chancellor Graça Machel and possibly a major donor or benefactor. Proposals in honour of a person who has died will be considered only two years after their death. The deadline for proposals is April 19.